In an earlier post, I drew attention to the paper I gave at the PSA Parliaments Group Conference late last year at the Scottish Parliament on the subject of social space in Parliament. 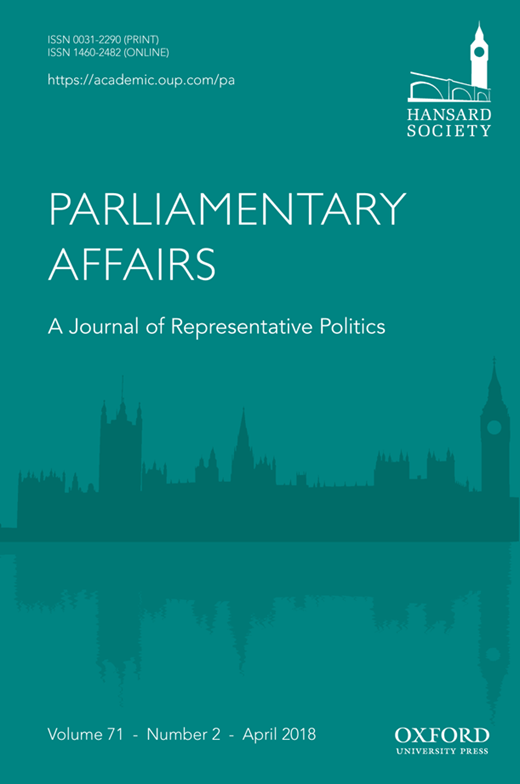 I have since revised the paper and the resulting article, ‘Power behind the Scenes: The Importance of Informal Space in Legislatures’, has just been published online by Parliamentary Affairs. It will be coming out in a print edition in due course. I have refined the terminology, to avoid confusion, and, as you will note, now use the term informal space. Where MPs gather informally to talk is significant politically, for the reasons summarised in my earlier post and developed in the article. Studies of legislatures focus on what happens in formal space, principally the chamber and committee rooms. Such studies are necessary, but not sufficient, for explaining behaviour within legislatures and its consequences. The use of space for members to interact informally with one another—informal space—can contribute to the institutionalisation of a legislature through facilitating autonomy. Such space provides an arena for socialisation, information exchange, lobbying and mobilising political support. This article examines the significance of informal space, drawing on the experience of the UK Parliament. This entry was posted in Uncategorized and tagged informal space, information exchange, institutionalisation, legislatures, lobbying, mobilising political support, Parliamentary Affairs, socialisation. Bookmark the permalink.